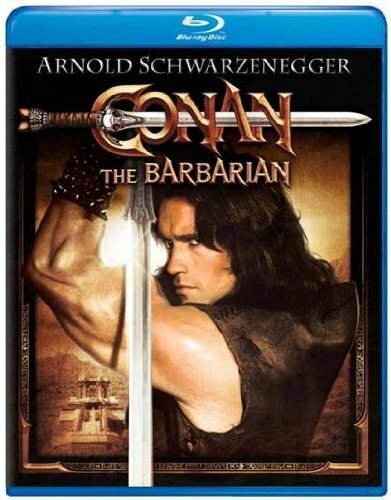 Following his parents' savage murder, young Conan (Arnold Schwarzenegger) is captured by the cold-blooded Thulsa Doom (James Earl Jones) and spends the next fifteen years in agony, first chained to the Wheel of Pain and then enslaved as a Pit Fighter. Rather than allowing this brutal fate to conquer him, Conan builds an incomparable body and an indomitable spirit—both of which he needs when he suddenly finds himself a free man. Aided by his companions Subotai the Mongol (Gerry Lopez) and Valeria, Queen of Thieves (Sandahl Bergman), Conan sets out to solve the "riddle of steel," seize ultimate power and, finally, take revenge on the warlord who killed his family.